Tackling the opioid epidemic was one of the major planks of my 2016 campaign. I proposed redirecting marijuana enforcement funds to opioid abuse prevention, treatment and enforcement. During the 53rd Legislative Session, we tackled the opioid epidemic, but we left any meaningful marijuana reforms on the table. 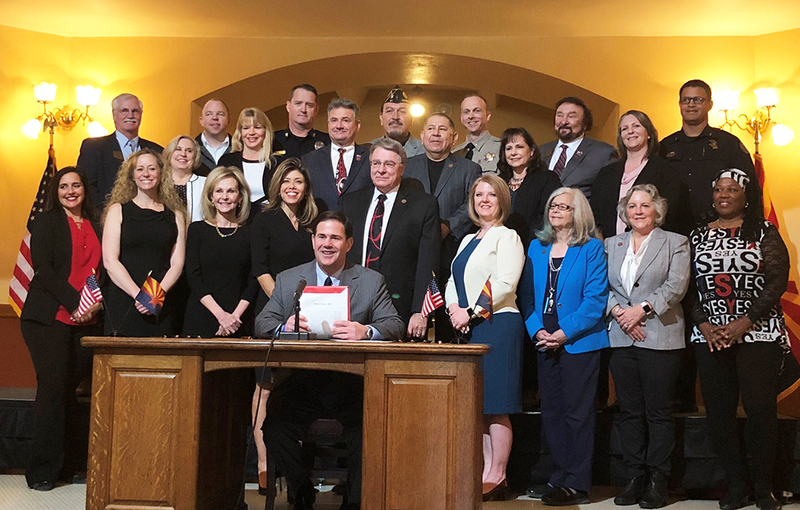 Governor Doug Ducey signed the Arizona Opioid Epidemic Act in early 2018. Prior to passage of the Arizona Opioid Epidemic Act in early 2018, more Arizonans died from prescription drug overdoses than from heroin and cocaine overdoses combined. In 2013, the Arizona Department of Health Services (ADHS) reported 1000 deaths from prescription drug overdose, 100 deaths from heroin overdose, and 0 deaths from marijuana. So, why is law enforcement wasting time and money busting and jailing people for marijuana? I believe that law enforcement and prevention efforts should focus on the drugs that actually kill and addict people– like prescription opiates, meth, heroin, cocaine, and designer drugs. Since 2010, drug overdose deaths–from legal and illegal drugs– have surpassed deaths from motor vehicle accidents in Arizona. Our state had one of the worst drug overdose and prescription drug abuse records in the US, which is why Governor Doug Ducey declared a state of emergency in 2017. This declaration resulted in a state epidemiological study and public health recommendations to tackle the opioid epidemic in our state. 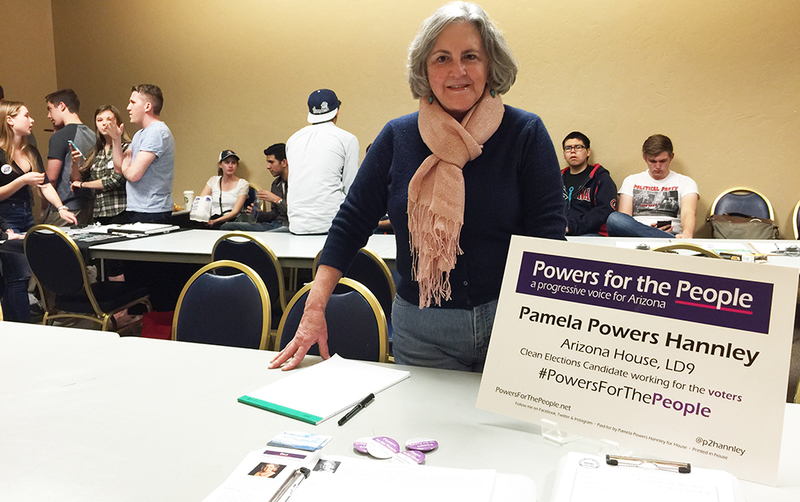 In 2018, we moved in the right direction on opioids, but we stood still on marijuana– a plant that 1000s of Arizonans would like to legalize. I believe that Arizona should legalize, regulate, and tax marijuana. Arresting and jailing people for using marijuana does nothing more than feed the private prison industry, add to our mass incarceration problem, waste taxpayer money on prisons, and ruin people’s lives. Also, it has been shown that incarceration for marijuana is often discriminatory. Blacks and whites illegally use marijuana at about the same rate, yet black people are far more likely to be jailed for the same crime. Marijuana legalization is a win-win-win situation because it would not only raise money in sales taxes and create an economic boon for our state, but it also would save law enforcement and incarceration funds and reduce drug-related border crime. This savings could be applied to our real drug problem– opiates. Furthermore, in October 2014, the Journal of the American Medical Association (JAMA) reported that states with medical cannabis had a 25% lower overdose mortality rate from opioid prescription drug overdose when compared with states where marijuana is illegal. So– legalization of marijuana could be part of our strategy to combat prescription painkiller overdose deaths. It’s time to stop jailing citizens for using a plant that never killed anyone. We should focus prevention, treatment and enforcement efforts on the drugs that are addicting and killing our citizens. I support legalization of marijuana and expansion of the medical marijuana program. Here are a few blog posts on this subject.